When he stepped down in January 2017 as the fourth United States director of national intelligence, James Clapper had been President Obama's senior intelligence adviser for six and a half years, longer than his three predecessors combined. He led the US intelligence community through a period that included the raid on Osama bin Laden, the Benghazi attack, the leaks of Edward Snowden, and Russia's influence operation during the 2016 US election campaign. 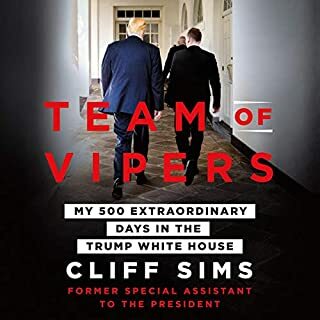 In Facts and Fears, Clapper traces his career through the growing threat of cyber attacks, his relationships with presidents and Congress, and the truth about Russia's role in the presidential election. He describes, in the wake of Snowden and WikiLeaks, his efforts to make intelligence more transparent and to push back against the suspicion that Americans' private lives are subject to surveillance. 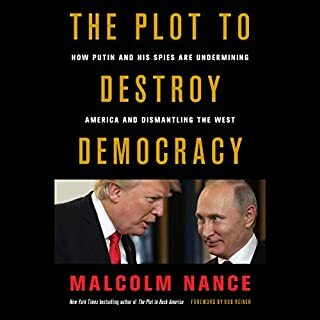 Finally, it was living through Russian interference in the 2016 presidential election and seeing how the foundations of American democracy were - and continue to be - undermined by a foreign power that led him to break with his instincts honed through more than five decades in the intelligence profession to share his inside experience. Clapper considers such controversial questions as: Is intelligence ethical? Is it moral to intercept communications or to photograph closed societies from orbit? What are the limits of what we should be allowed to do? What protections should we give to the private citizens of the world, not to mention our fellow Americans? Are there times when intelligence officers can lose credibility as unbiased reporters of hard truths by inserting themselves into policy decisions? Facts and Fears offers a privileged look inside the US intelligence community and, with the frankness and professionalism for which James Clapper is known, addresses some of the most difficult challenges in our nation's history. Superb view into the evolution of US intelligence matters for half a decade, through a range of agencies, service and through a wide range of both foreign and domestic threats. Well written and we'll delivered. James Clapper’s Facts and Fears chronicles fifty years of experience in the US intelligence field. For all it’s meaty topics, this book is very easy to read. One doesn’t need any experience in it to understand what Clapper is saying, especially when he outlines the rules and regulations that govern US intelligence practices. I would have thought some of these topics would be very dry and boring to read through (was alternating between reading a hard copy and listening to he audiobook), but I found it all really engrossing. This is especially true of the later chapters which are about the recent election and the Russian campaign to undermine the confidence of the US electorate in the processes and agencies that uphold US democracy. Loved it. The narration was lile listening to Jim himself. Thank you James! This book had to be written. The facts had to made know to the public because we fear it may be a long time before things normalise. A book on leadership so many lessons. I am all the better for it. The life of a career intelligence officer. From start to finish (really, the last 4 hours are fantastic) it’s just enthralling, what an amazing man and an even greater public servant. An amazing journey and passionately written book. A strong honest book spanning an incredible career of service. 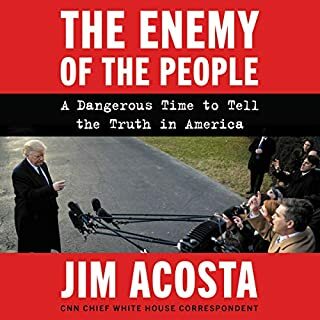 Extremely honest and a must read for all Americans. Both an fascinating insight into U.S. Intelligence Services, & humble recounting of the author's service. A riveting account of a man who served his country for all of his adult life in military intelligence and government intelligence agencies. A read of old times and new times, old challenges and new, and then Donald Trump. It's well worth your dime! 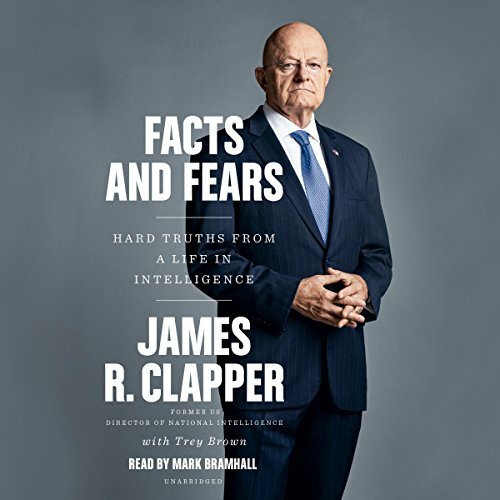 Retired Director of National Intelligence (and retired USAF Lieutenant General) James R. Clapper’s “Facts and Fears: Hard Truths From a Life in Intelligence” (2018) dropped on Audible the same day as Stephen King’s “The Outsider” (2018). I am a huge fan of Mr. King; the narrator is Will Patton, who I would listen to if he narrated a badly translated blue tooth speaker instruction manual; and I had a very long, tedious drive with limited radio reception. I went with co-author Trey Brown and Mr. Clapper’s “Facts and Fears” because I figured it would be more likely to keep me awake. It sure did. Mr. Clapper was responsible for some of the most important Innovations in intelligence gathering and analysis in the last half century. In his last job, Mr. Clapper was responsible for all US Intelligence gathering and analysis, both military and civilian. Mr. Clapper made some mistakes, and got some important intelligence wrong: he misread what was going to happen in Benghazi, Libya, on September 11 to 12, 2012. Ambassador J. Christopher Stevens and three others died when a diplomatic post was attacked. More importantly, he saw evidence of weapons of mass destruction that lead to the 2003 Iraq War - and the “evidence” turned out to be milk pasteurization equipment. One thing Mr. Clapper didn’t get wrong was the Russian interference with the 2016 US Presidential elections. Mr. Clapper knew some of what was happening, how it was being done and who was doing it long before either presidential candidate clinched their party’s nomination. The Intelligence Community (IC) monitored what Russia, through its government funded media company RT (formerly Russia Today) was doing to try to destabilize the United States as a whole. It wasn’t just the election - RT sowed and continues to foment racial and religious strife. 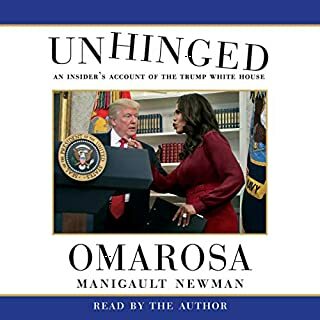 The book is chronological, and the really scary stuff starts at Chapter 12/Audible Chapter 131, 2 hours and 2 minutes before the end of the book. That’s where Mr. Clapper talks about specific tactics used by Russian President Vladimir Putin and RT, especially social media. Mr. Clapper made sure President Barrack Obama knew what was happening, but Mr. Clapper could not recommend how he should respond. His job was to gather intelligence and present it truthfully, but not to apply it to US policy. 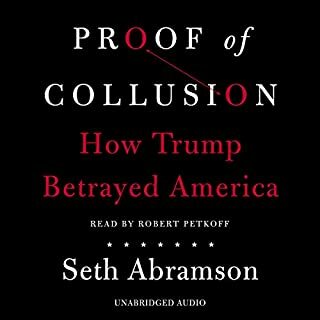 For anyone looking for an admission that the IC was spying on Mr. Trump’s campaign - it’s not in this book. No, this Tweet from the President that “Clapper has now admitted that there was Spying in my campaign. Large dollars were paid to the Spy, far beyond normal. Starting to look like one of the biggest political scandals in U.S. history. SPYGATE - a terrible thing!" (Twitter, at realDonaldTrump, May 24, 2018) is just wrong. Mr. Clapper’s dedication to advancing women, the LGBTQ community and other minorities was unexpected. I’m a veteran myself and I don’t know that I was ever at the same duty station Mr. Clapper was at the same time, but to quote Clint Eastwood in “Heartbreak Ridge” (1986), “Well, we sure as hell chewed some of the same dirt, sir.” Opportunities, both civilian and military, for anyone who wasn’t a straight white Protestant male were limited or nonexistent when I served. Mr. Clapper worked hard to change that. I haven’t listened to Mr. Kong’s “The Outsider” yet, but Mr. Clapper’s book was so compelling I finished the 18 hour book in three days. I did have it on x1.25 speed. Mark Bramhall, the narrator, has a voice of deliberate, too-slow gravitas and x1.25 sounded just fine. 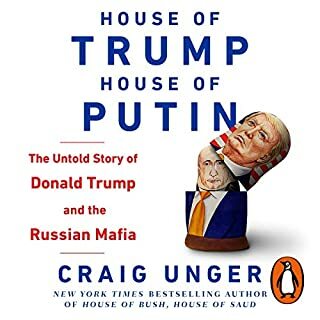 The title of this review is a quote from the book - and the way Mr. Clapper did his job from intelligence briefings in Vietnam to congressional hearings even after he retired, in 2017. 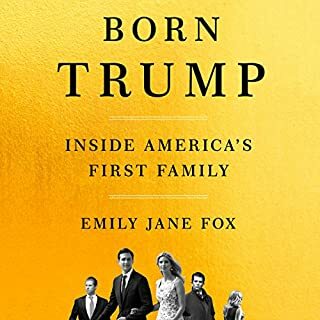 Very little of this book is about Trump. It is a life story of a man who was born into the intelligence community, and continued for 50 years. He tells wonderful back stories of foreign affairs. He starts in intelligence with "a piece of acetate, a grease pencil and two corporals", and transitions through the high tech information gathering of today. He is open and humble about some of the biggest intel blunders in recent history. You learn much about Russia and the 2016 election. You will know why he hates Trump, and how much he loves America. This is a long BOT... but- it is very well done, AND Jim Clapper giving his, for the most part, half-century worth of Intelligence background/work is, I think, relevant for you to fully accept his credibility... which, before I bought this work, I don't know which side of the fence I would fall on. However- now... after enjoying this work (and he DOES have a sense of humor), I find him 100% credible... and trump inversely so. Clapper also does some pretty thorough work explaining in detail the how and whys of events during the campaign, and afterwards. Insightful! The very worst thing I can say isn't about the book... but the recording, or rather editing, of the vocal (being a recording engineer myself)... when edits were needed in the recording... care wasn't taken to assure the voice sounded consistent between the original recording(s), and the edit recordings. You may, or may not notice... or care. It's not a factor, really... it just stands out for me. 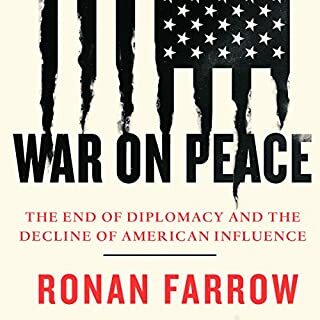 None the less... if you have ANY interest in how the intelligence world operates, and how it has evolved since the 60s... you WILL want to get this one! 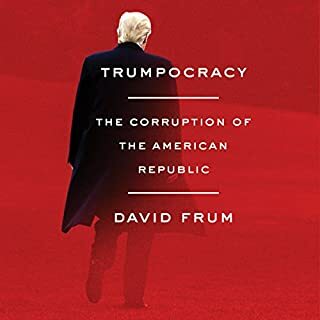 This is a very important book that everyone who is concerned with preserving our democracy must read. Although the beginning of the story of American intelligence agencies is peppered with military alphabet soup and acronyms, I have found it best to just skip over these without trying to decipher each and every one. It can be read as simply an evolution of these agencies and their cultures. The latter portion of the book dealing with the elections in the Obama and Trump eras, has the ring of truth. We owe James Clapper a great debt for adding to our understanding of the methods used by Russia and self-serving politicians to corrupt an election and the democratic process. Excellent book! Mr. Clapper provides unique insight into how national intelligence has evolved based on his decades of experience. His self-effacing tone and dry-wit add appeal to the narrative. What I found most interesting was the level of effort that Russia has undertaken and continues to make to undermine our democratic processes. While those who lived through the Cold War should not be surprised, the resources utilized and potential influence of Russian information warfare through the utilization of national news organizations and social media was surprising. The alignment of messaging between the Trump campaign, right-leaning news organizations, and Russian media while not definitive proof of collusion is uncanny. A review of Russia’s Influence Campaign Targeting the 2016 US, conducted by three separate American government institutions, provides strong support to the author’s conclusions regarding Russian attempts to influence the 2016 election and discredit Americans confidence in our government and election process. Fantastic Story and History, Highly Recommended!!! I listened to most of "Facts and Fears" on a trans-pacific flight from Hong Kong to the US and was mesmerized with the story James Clapper had to tell. 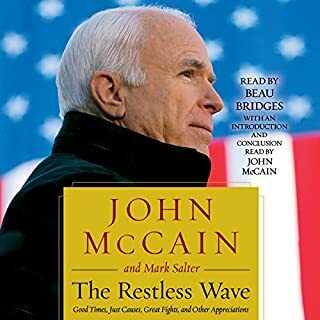 This is a great book and a must listen to audio book. 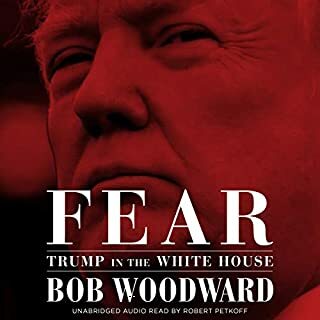 "Facts and Fears" is factual, accurate and a great story of contemporary US history. James Clapper is National Treasure. 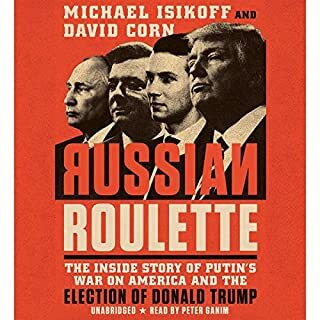 Honestly, after listening to "Russian Roulette", "Facts and Fears", "A Higher Loyalty" and other recent contemporary memoirs and stories, it is obvious that the Obama administration was way too timid with regard to countermeasures related to inference in the US electoral process. What comes to mind is someone standing on the side of a lake when a friend is drowning and crying out for help, but then frozen in inaction, afraid to jump into the water and get wet. Between the DNC and the Obama administration, it's grossly unfair to paint the current challenges to US democratic processes as "all Trump's fault." Hillary Clinton was a seriously flawed presidential candidate and so many people voted for a brash talking, trash talking, new comer into the race. 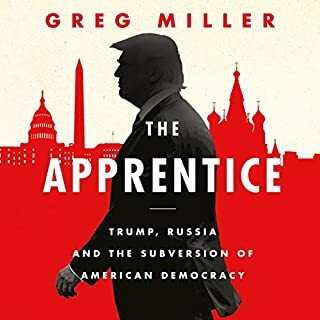 His campaign used every trick in the book to get him elected against all odds and they succeeded with the help of Russia, exposing serious flaws in the US Constitution and democracy. James Clapper weaves all this contemporary history together in a very factual, non-partisan and matter-of-fact way. I highly recommend this book to anyone and everyone who is interested in modern US history and current events. Thank you for your service to our nation, Jim!!! Respect!! I found this book well balanced and very informative. I found it ring true throughout. Impressive. Very, very well done. I recommend this to anyone interested in the history of today. This book is not just a recitation of sleepy details but a wonderfully written story about the life of an incredibly interesting man. He generously shares his life from childhood to his retirement after a 50 year career in intelligence. I am very worried about the direction this country is heading. 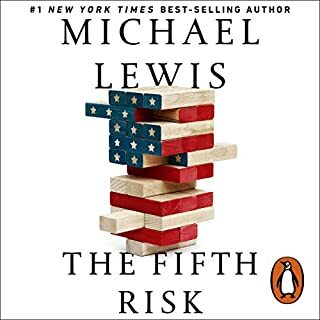 I honestly believe that anyone who reads this book (even the 40%).....will mull over their current thinking of where we’ve been as a world power, where we are heading AND should we alter that trajectory. Thank you Director for sharing yourself with your country both professionally and now as a much needed educational leader. The title was a perfect description for the contents of this book. I was extremely pleased with the clarity and precision that James Clapper gave in his account of how our Intelligence gathering and handling of the facts is driven and performed in our country. 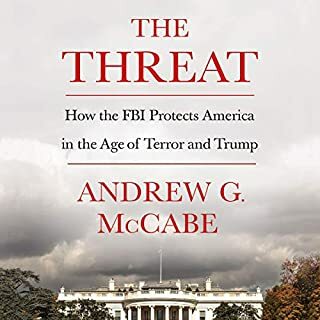 I would highly recommend this book if you are looking for answers to just how the department is ran, along with the dedication and honor the men and women perform their duties for safety and security of the United States. numerous acronyms mentioned in the book represented. Felt like the book was written for people more knowledgeable about government agencies. It was a struggle to get through the first half of the book. Second half was more interesting. Men such as Clapper and James Comey, lived by certain principles. They worked for many years under more than one president, to keep the nation safe. If they are worried about Trump's principles, or lack of them, then thee is good reason to be worried. Whilst I do not agree with some activities undertaken by the US Intelligence Community it would be foolish not to recognise the importance of the community's perspective on Russian influence in our democracies and what better person to speak out than the ex DNI. Thank you JC for making your views available. From his life of service, to his dedication to intelligence, to truth to power! Listened to Jim Clappers book and could not stop. I learnt so much about how intelligence reporting has progressed and how you may not always like not being in the know but how I'd rather not be and just be in the know that good hardworking men and women are behind the scenes protecting democracy and protecting citizens. Huge respect for the man himself. Interesting to get the history over several Presidents and how things actually turned out instead of the conspiracy stories. It also highlighted to me how much meddling the Russians have done in the world with regards to elections and warfare. I hope lessons are learnt from that. life story of an Honest! Unsung American patriot/hero. If only Trump had half the integrity. An explanation of what happened to truth telling. 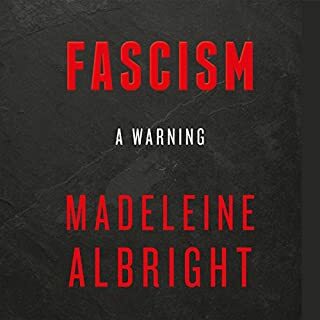 A must read if you like me need to understand what is going on in America now and how this insanity detrimentally affects America's values and image in the world as the last hope for humanity. As Angela Mercal advises we must now become our own last hope. An interesting life, a man of absolute honour and dedication to his country; whether you believe in his viewpoint or not, only a person blinded by tunnel vision won’t learn something from this book. A truly fascinating read. From a production perspective, on the whole it was fine but the corrections that were added after the main recording were dubbed in poorly and are very obvious. However the content is so interesting I didn’t want to drop my rating. 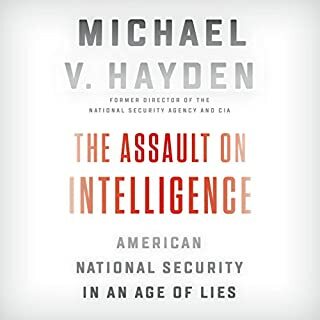 If you are interested in the state of the US now and want a taste of the intelligence service over the last 50 years, please read this book you won’t be disappointed. 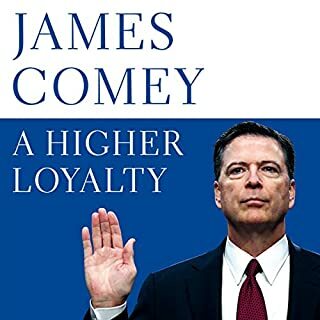 A stunning and seriously worrying book by someone who TRUELY knows that the man that you should be able to trust the most is to be trusted at your peril. Commander in Chief? LIAR in Chief! Keep on speaking truth to power James!